This is as far as I got – not sure how I am going to set them. Head over to Judy’s blog and see what everyone is up to. And – only 3 days left to vote in the McCall’s Design Star Contest Click and vote – I will let you know the results on Friday. And all y’all have to get your design engines geared up – the McCall’s blog says they are going to do the contest again! Give it a try – there is a lot of great design work happening in this group – think about entering, you never know what might happen! 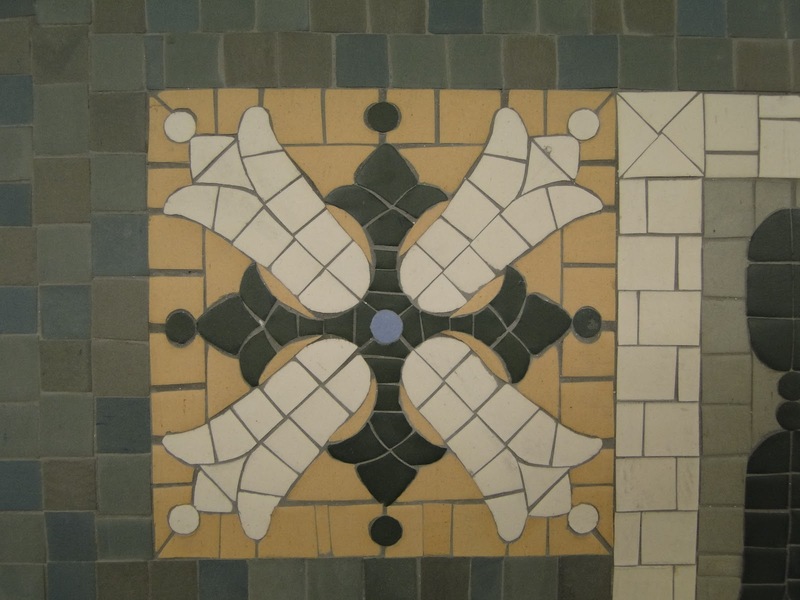 McCall’s Design Star Update – the final week! Here is an update on the McCall’s Design Star Contest. Voting continues through next Wednesday, February 2, 2011. McCall’s will be posting the notification of who won on their website on Friday- I will also post a note both here and on Facebook. 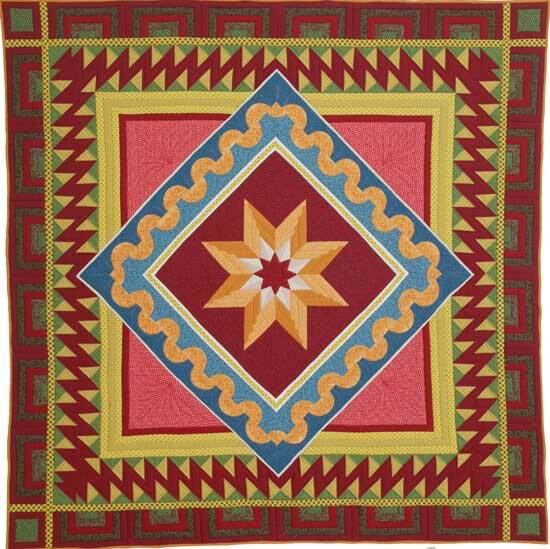 To celebrate the end of the contest McCall’s will be holding a Quilt Design Star™ party on their website from February 4 through Sunday February 6, 2011. Make sure you check it out at www.McCallsQuilting.com . They will be holding a one-time celebration give-away that includes items similar to a prize package that I received. 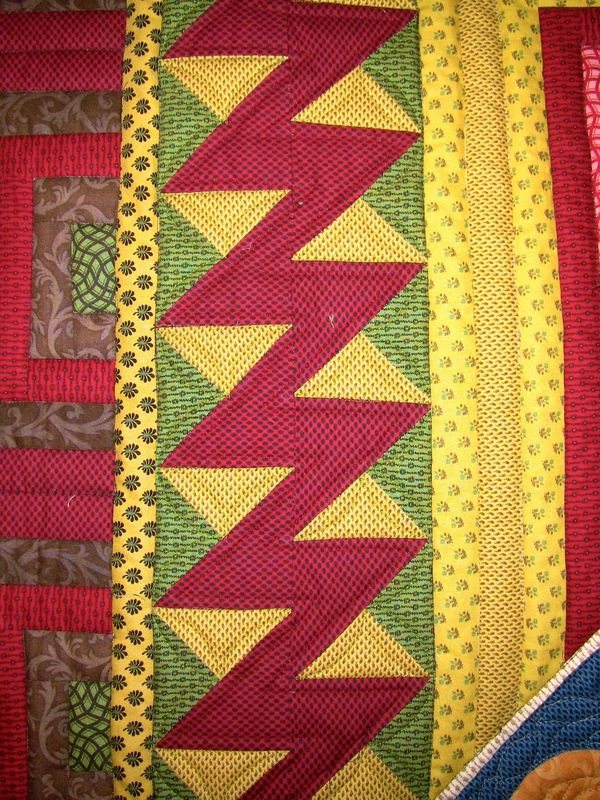 All of the finalists challenge pages will still be up so that you can leave comments, and continue to enjoy all of the quilts. 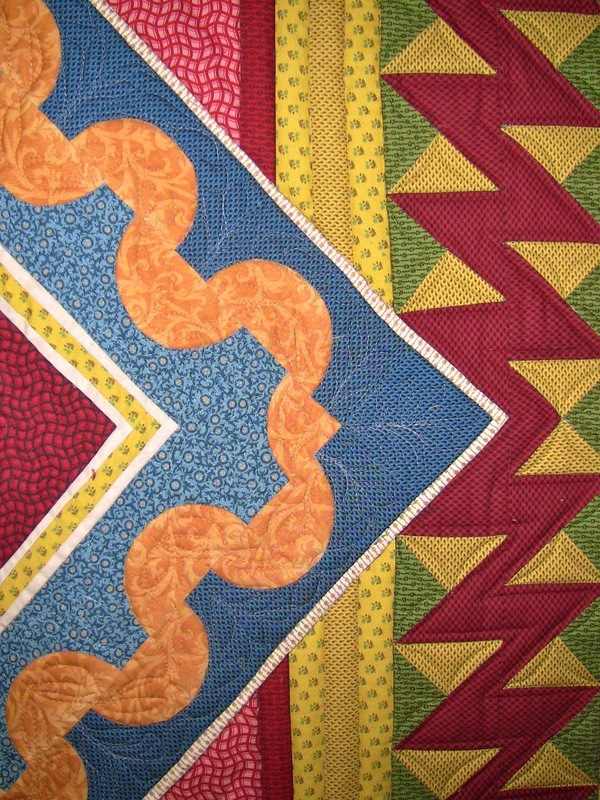 And lastly – the winning designer will be featured in McCall’s Quilting July/August 2011 issue. So —- keep the votes coming – get your friends to vote! 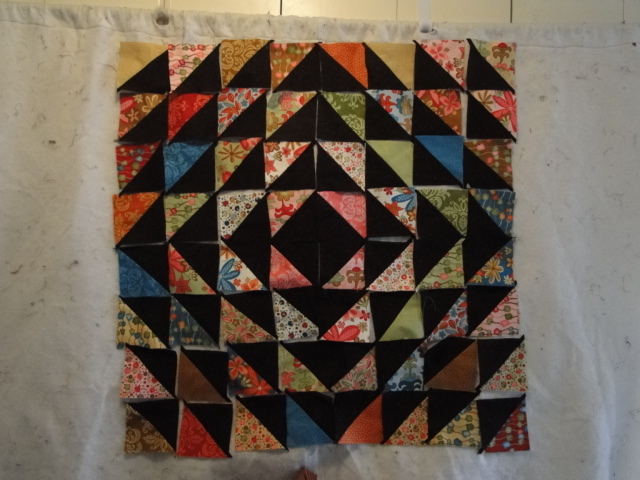 I played around with my half-square triangles from last week. This is what they looked like last Monday. After some shifting around they turned into this. 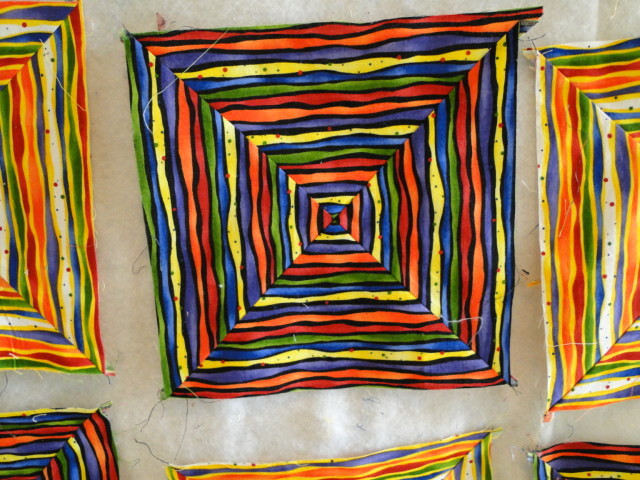 I am not sure if I am going to leave it as it is and turn it into a wall hanging, or add some borders and turn it into a throw. Or… should I turn it on point, square it up and finish it this way. Or, there might be other options, not sure yet what those might be. Inquiring minds want to know – what would you do. And head over to Judy’s Blog to see what everyone else is doing. 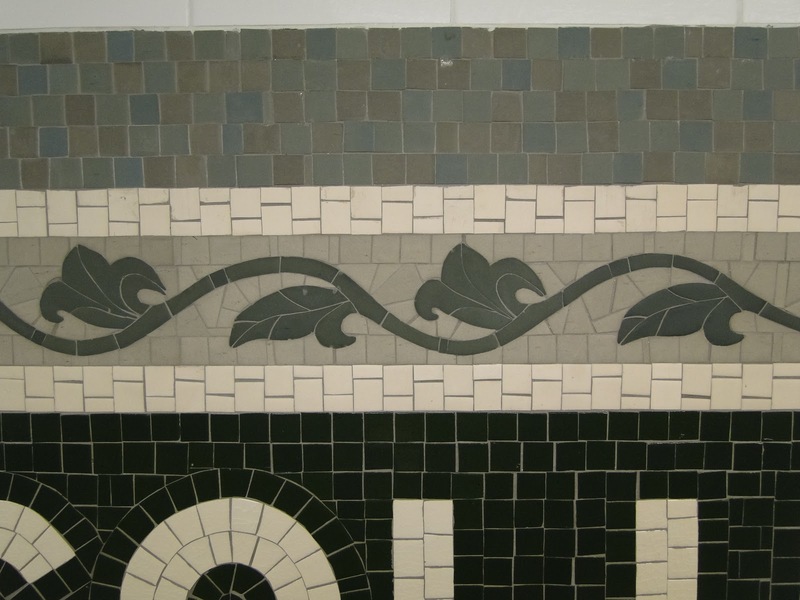 The subway stations in New York are adorned with wonderful mosaics. 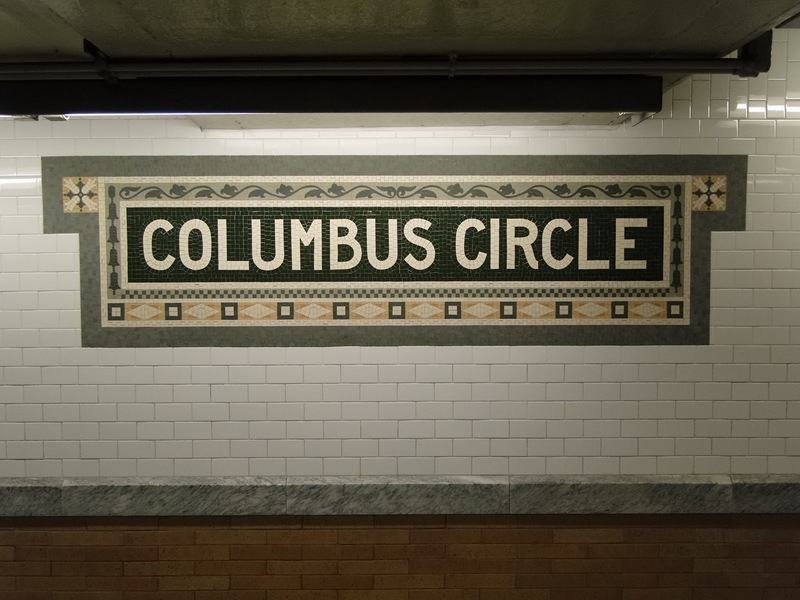 Border designs abound – here are some shots of the mosaics at the Columbus Circle Station. I hope they might spark an idea or two for your own work. 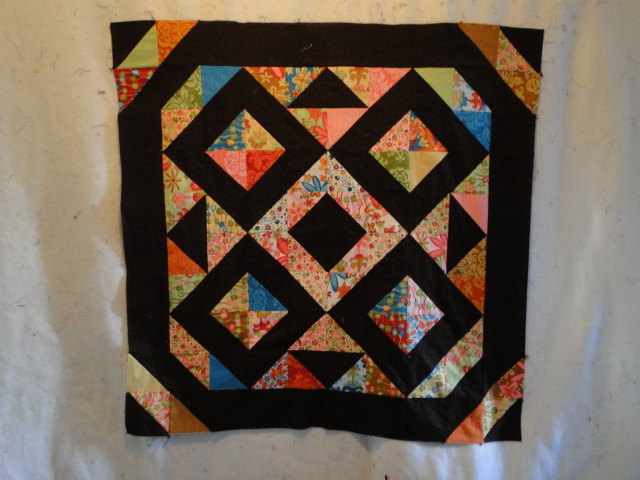 In Drafting for the Creative Quilter (C&T 2010) Sally shows you how to analyze various blocks, how to re-size, how to design with blocks of different sizes, how to take a block and re-design it/adapt it/alter it, etc… the list goes on. On the broader level – this is a great book solely for design inspiration. 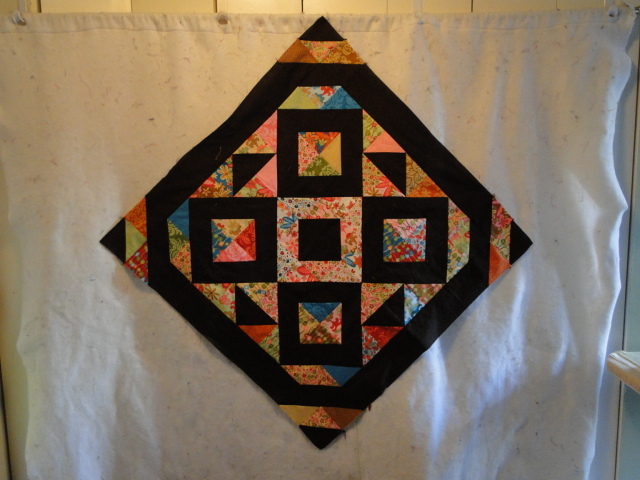 It can help spark your creativity to think differently about your quilt designs and block designs. I don’t know that I would have been able to draft the 8 point start block that I used in Polaris. 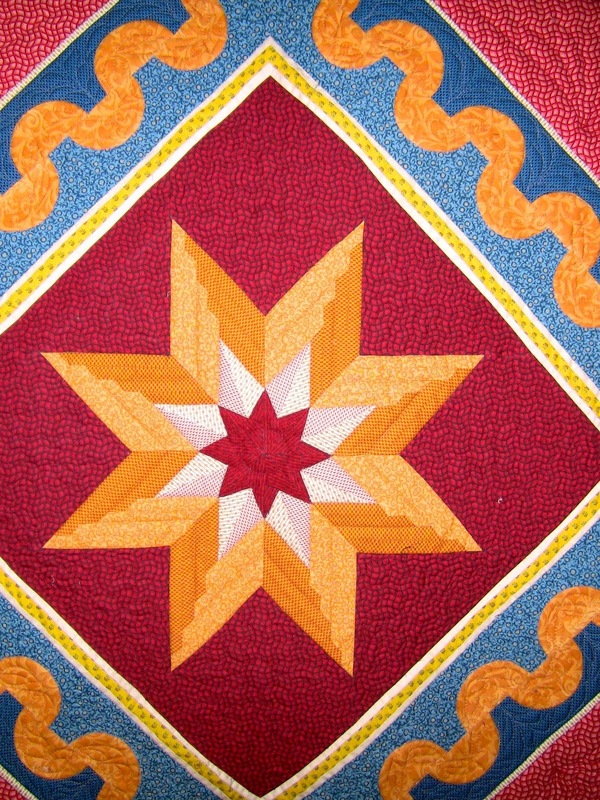 Each of the star points is measures 11 inches from the center point out to the tip! 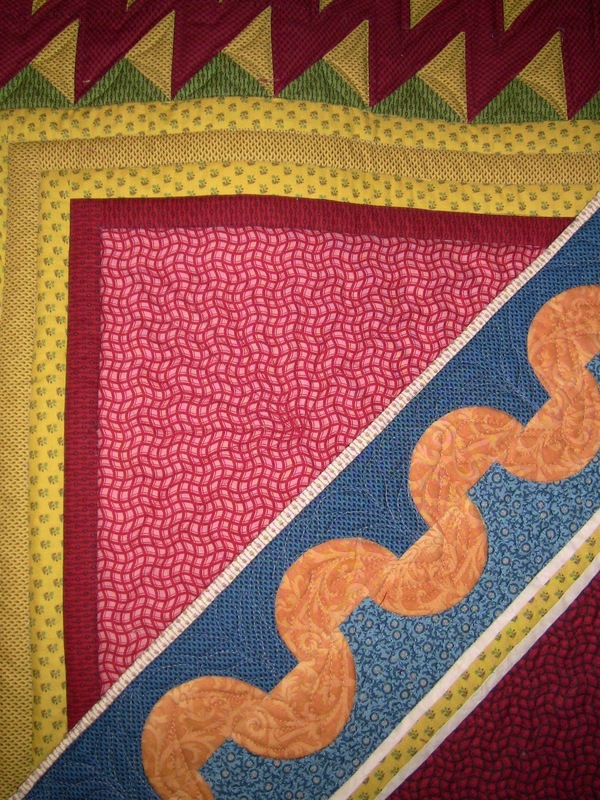 In addition to drafting blocks she has wonderful insights into color placement, scale, and other design elements that can be used in creating any quilt. The second book Borders, Bindings & Edges (C&T 2004). 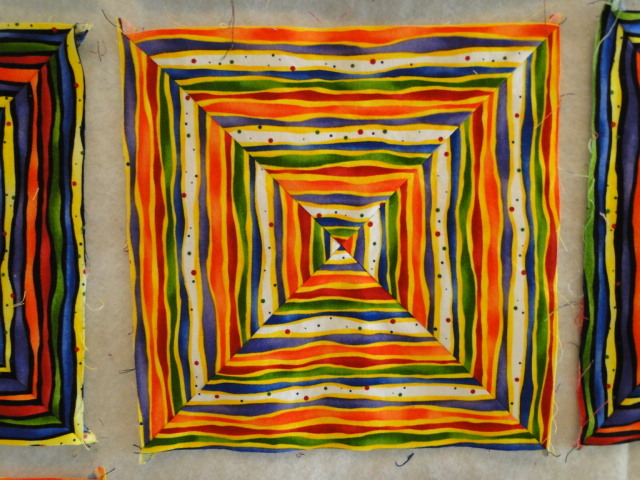 In her thorough fashion – Sally deals with I think just about every border possibility that is possible – including how to put a 1/8th inch border on a quilt to make a section pop. (YES – 1/8th of an inch). I didn’t put an 1/8th inch border in – but I did adapt her technique for putting in some 1/4 inch highlights. 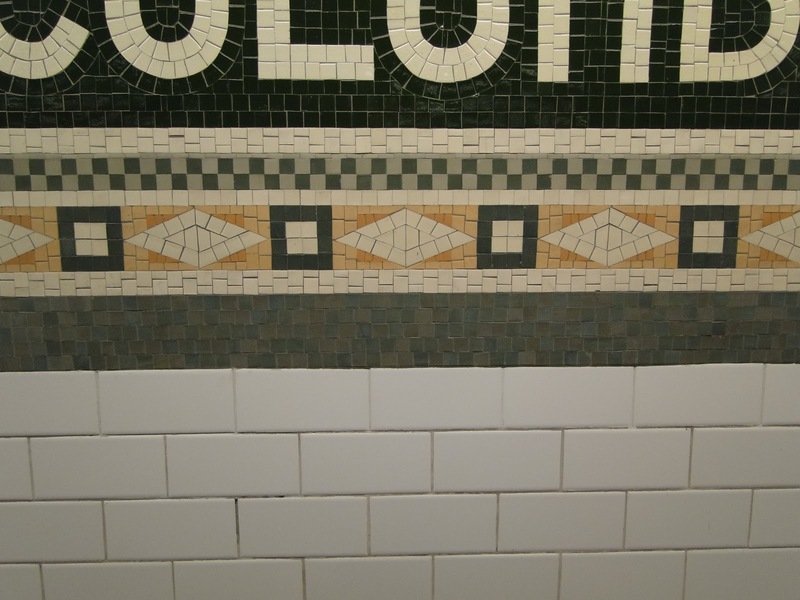 The white in both of these borders is1/4 inch and it really helps the central square-on-point pop. 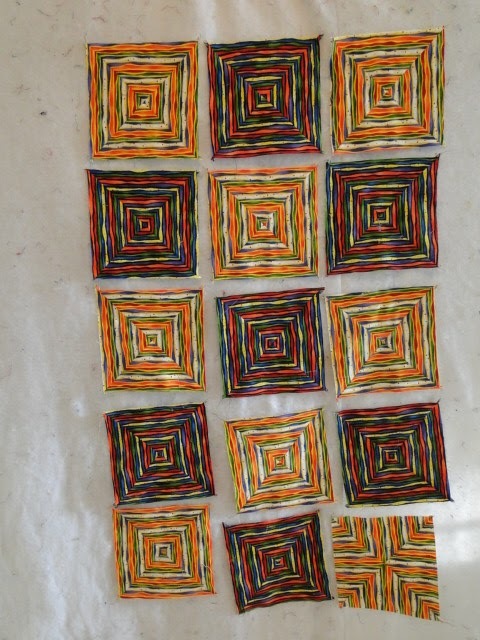 She provides wonderful instructions on how to figure out what size spacing strips you need to include to make your borders fit, what to think about when deciding “how wide do I need to make that border – should it be 3 inches, 6 inches or ???). There are great ideas different border designs and on how to take those designs around the corner. Again – the technical person will love this book – but if you aren’t the “precise piecer” – you will find loads of info that you can use. How to make borders fit, how to make bindings, how to caclcuate bindings, how to apply different finishes ……. the list goes on and on. If you don’t have these books in your library – get them – you won’t be sorry!